Status: Active 1998-on. Born: 1969-03-25. Spaceflights: 1 . Total time in space: 12.64 days. Birth Place: Shanxi. 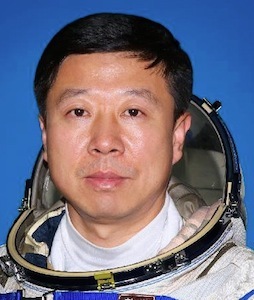 In the 05/2003 issue of Fliegerrevue, this was one of 12 new names listed as Chinese astronauts in training. Family: Taikonaut. Country: China. Flights: Shenzhou 9. Agency: PLAAF. Bibliography: 5705. 1969 March 25 - . Birth of Liu Wang. - . Related Persons: Liu Wang. Chinese pilot taikonaut 1998-on. 1 spaceflight, 12.6 days in space. Flew to orbit on Shenzhou 9 (2012)..